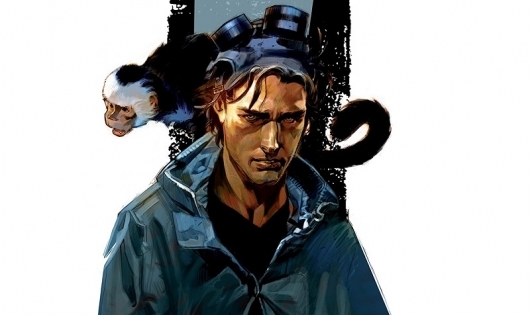 A little over a year ago it was reported that the long in development movie based on Brian K. Vaughan and Pia Guerra‘s comic book series Y: The Last Man was no more, and that it was instead being developed as a TV series for FX. The adaptation is still in development today, but has now taken a big step toward becoming a reality. It’s being reported that Michael Green has signed on to be the series’ showrunner. Green is already currently the showrunner of another highly anticipated TV series, Starz’s adaptation of Neil Gaiman’s American Gods along with co-showrunner Bryan Fuller. Fuller also took on a second showrunner job, the upcoming Star Trek: Discovery TV series, but departed that project last month. Green has numerous notable credits to his name in both film and television. On the TV side of things, in addition to the aforementioned American Gods, Green was a writer and producer on Smallvillle, Everwood, Heroes, and The River. He was also the creator and executive producer of Kings. As far as movies go, only one thing he’s written has been released so far, and it’s one that didn’t go all that well in 2011’s Green Lantern. He hopes to remedy that with a handful of big upcoming titles like the third Wolverine movie Logan, Ridley Scott’s next Alien movie Alien: Covenant, the Blade Runner sequel titled Blade Runner 2049, and the remake of Murder on the Orient Express. In addition to showrunner duties, Green will also write the series along with Vaughan. Vaughan also has some experience in television, writing and producing episodes of LOST and Under the Dome, which he is also credited as creator on. Y: The Last Man follows escape artist Yorick Brown, the last living male after a plague wipes out all mammals with a Y chromosome. Along with a government agent known only as 355, a geneticist named Dr. Allison Mann, and his Capuchin monkey Ampersand, Yorick seeks to find out how this happened, how to fix it (if even possible), and find his girlfriend Beth. The series comes from The People v. O.J. Simpson producers Nina Jacobson (The Hunger Games, Diary of a Wimpy Kid) and Brad Simpson (Boy’s Don’t Cry, World War Z).